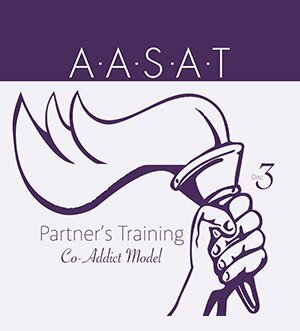 PRT 03 – Co-Addict Model Video Download is the 3rd video from the AASAT Partners Recovery Training Course. It talks about the co-addict model and how behavior can appear to cause addiction. PRT 03 – Co-Addict Model Video Download is the 3rd video from the AASAT Partners Recovery Training Course. It talks about the co-addict model and how behavior can appear to cause addiction. Dr. Weiss discusses how important it is not to consider partners co-addicts and that their behavior does not cause the addiction. This is a downloadable video.